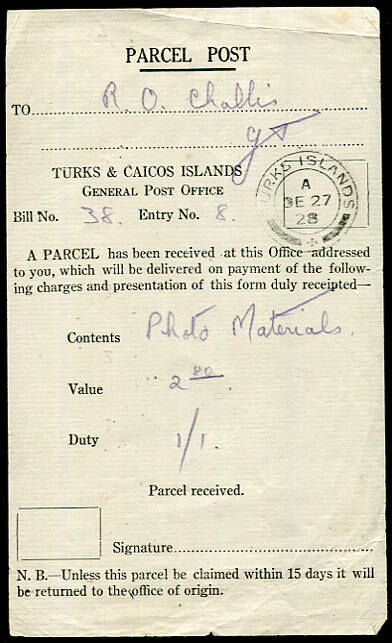 PARCEL POST receipt pmk'd TURKS ISLANDS A/DE 27 28 d/ring. 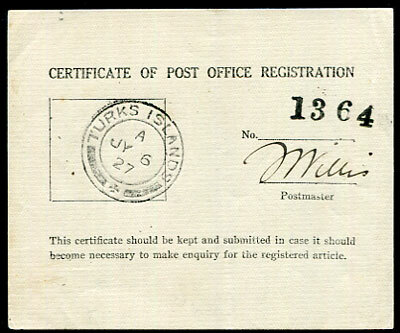 CERTIFICATE OF POST OFFICE REGISTRATION with No. 1364 pmk'd TURKS ISLANDS A/JY 6 27 d/ring.